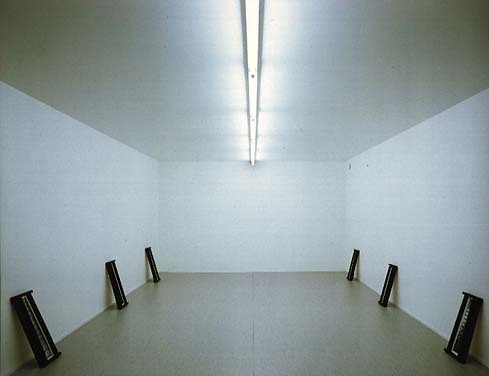 Interior installation at Moderna Museet, Stockholm, for the exhibition "Rum Mellan Rum", (Space In-between Space) in 1992. This room was built inside the museum with the aim to recreate the atmosphere of an earlier room-installation (at CREDAC in 1989). In this room small photo-objects of chimneys were installed. Outside of the room, on the other side of the window: a "real" chimney was built.